The U.S. Consumer Product Safety Commission (CPSC) warns that unless parents and adults do a better job of watching children around pools, over 300 children in the United States, under the age of five years will drown in pools this year. Drowning in residential pools is the second leading cause of accidental death around the home to children under five years of age. 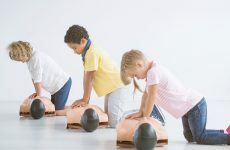 CPSC also reported that 4200 children under the age five are treated each year in hospital emergency rooms for submersion and near-drowning accidents in backyard pools. If you leave, even for a few seconds, take the children with you. Avoid confusion by always assigning one adult to watch young children who are in and around the pool. 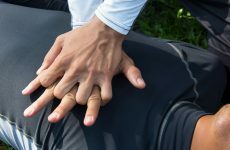 Know how to administer CPR to a drowning victim before rescue help arrives. 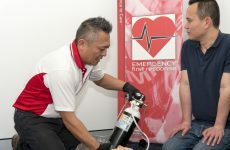 Ensure you are up to date with your First Aid knowledge and prepare yourself for when an emergency arises. Click here to find a course near you now.